Every year many parents ask for suggestions or comments for summer camps for the boys. If we could get some feedback from the parents on their experience at these camps, we could provide some advice for next year's parents. Please help us this year by sending a brief note to NSYLA President Bob Flynn at with info about your son's experience at any lacrosse camps he attended this summer. Here at Assumption College we are proud to announce the Boy's Lacrosse Camp will once again take place on the campus of Assumption College in Worcester, MA. Our camp will enlist players from age 7-18 and offer a unique opportunity for these players to explore the game and perfect their skill sets. Why: We at Assumption College believe in the fundamentals and we believe in keeping things affordable. 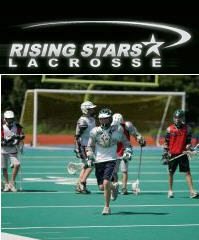 in this day and age how many lacrosse camps can offer you a full week, full 5 days, lunch included, for $225.00? Many of our local counter parts are charging in excess of $400.00 for a 4 day week. You can do the math we are the best deal in town and you will see progress in your son. For more information please see attached informational flyers and camp applications. Great experience for the better players, albeit humbling. Waste of time for average or lesser players because the competition level is so high. This was the 17th year the camp was held at Springfield College where it is run by their 25 year athletic director. Each player had individual instruction in the AM, followed by scrimmages in the AM, afternoon and evening. The kids had enough down time for fun but there is serious competition as well. Boys came from all over New England, NY and many other states including 8 who flew in from Texas. The camp did fill up by early June.